You are currently browsing the archives for the tag 'Library Bar'. My avid readers know how much I love London. 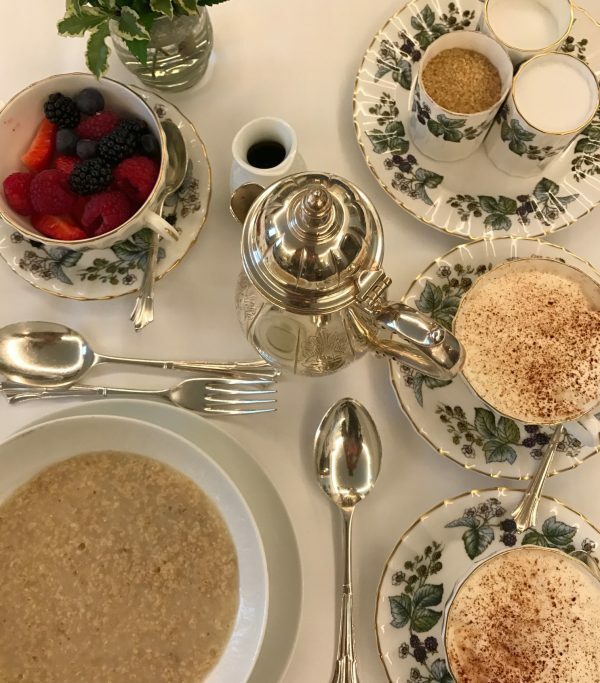 Personally speaking, a weekend trip to the British metropole is one of my favorite things to do, as the city offers everything you can dream of, culture, shopping, nightlife, and great restaurants. 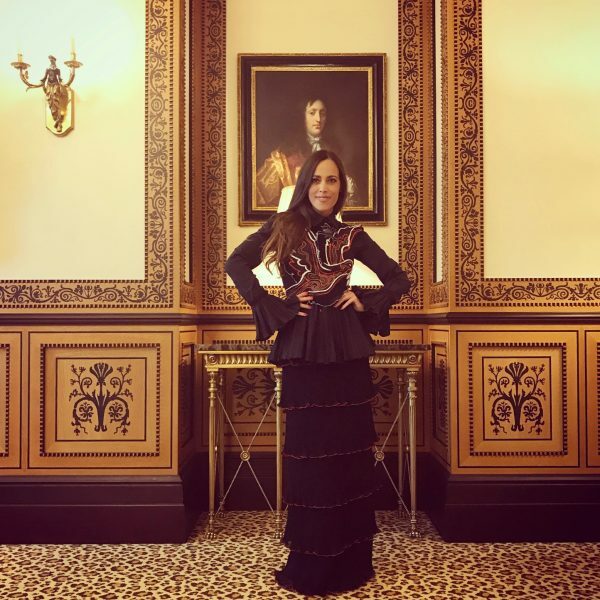 Happy me at The Lanesborough wearing Mary Katrantzou . 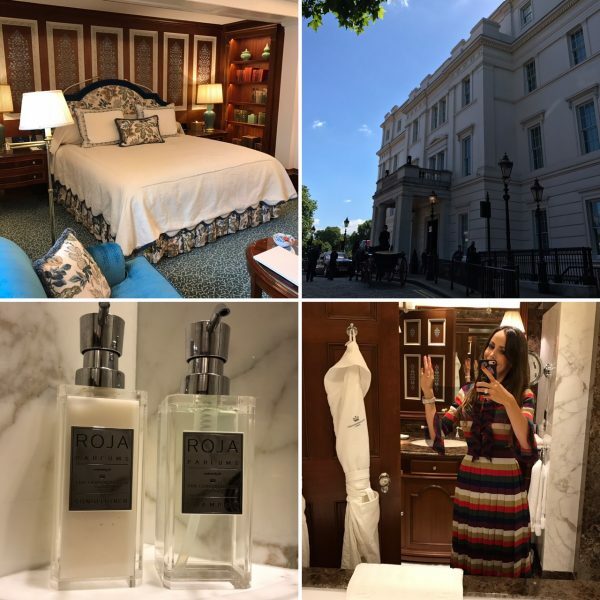 One of my favorite hotels to stay is THE LANESBOROUGH that belongs to the Oetker Collection. 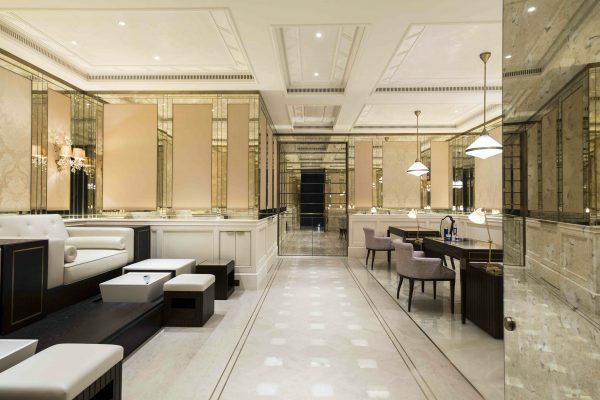 Perfectly positioned between Knightsbridge and Mayfair, just a short walk from Harrods, Harvey Nichols and London’s exclusive Sloane Street, this grand mansion overlooking Hyde Park Corner has undergone an inspired renovation by the famed interior designer Alberto Pinto. 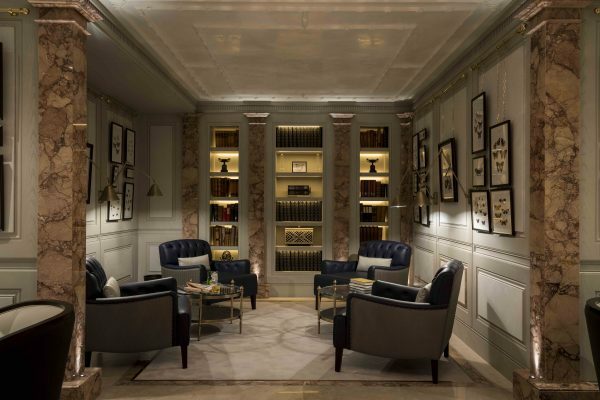 The hotel is home to 93 luxurious suites and bedrooms, Michelin-starred Céleste restaurant, the vibrant Library Bar and Garden Room and the magnificent Lanesborough Club & Spa. About the latter I would like to tell you a lot more as this is one of the many reasons to stay at this hotel! It is a true sanctuary of health and relaxation in the city and was crowned the World’s Best New Hotel Spa 2017 at the World Spa Awards™. This private 1600 m² members’ fitness and health clubs and spa with its divine interior, is offering members and hotel guests access to internationally recognised experts in the fields of fitness, beauty and wellness. 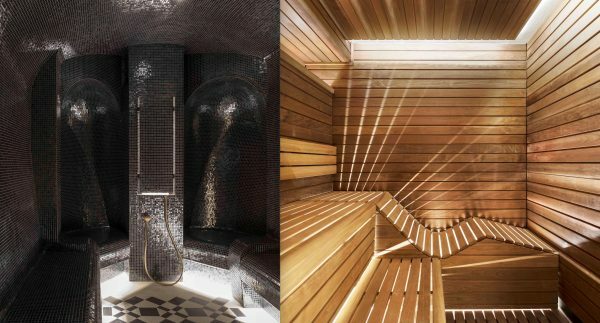 A must for all spa lovers: the steam room and sauna. The so-called «Painting Room» serves for manicures and pedicures. You can enjoy some of the finest spa therapy treatments with products from much-loved spa and beauty brands ila and La Prairie, as well as the expertise of facial and beauty expert Anastasia Achilleos. Good to know is that for non-members, day passes can also be combined with treatment bookings for access to the exceptional facilities. 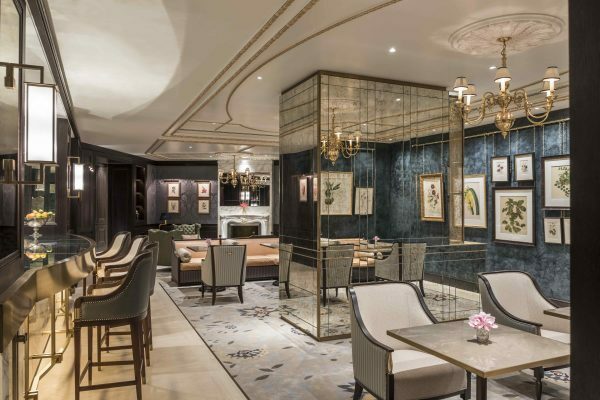 Moreover, The Lanesborough Club & Spa has its own restaurant, offering all-day healthy dining, developed by Michelin-starred Chefs Eric Frechon and Executive Chef Florian Favario in collaboration with Clean & Lean nutritional guidance from Bodyism founder James Duigan. High-protein snacks, smoothies and juices are available throughout the day, and all personal training sessions will finish with a bespoke blended drink to complement each members’ workout. 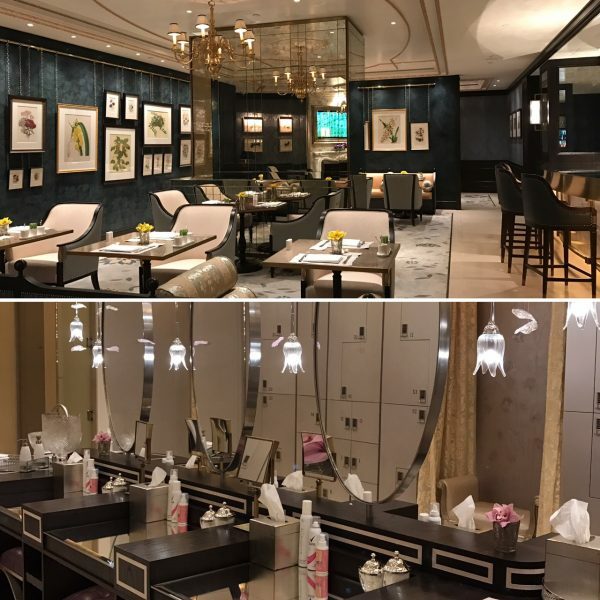 The hotel’s exquisite rooms and suites, are all uniquely refurbished with stylish, luxurious interiors and responsive technology seamlessly interwoven, including in-room tablets and powerful WiFi. Each room, not only suites, has a round-the-clock, dedicated butler service so that you can be assured that your needs are well served. 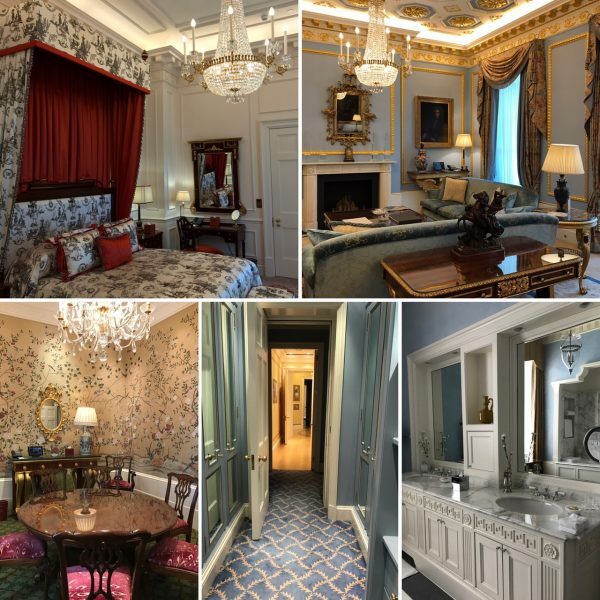 The seven-bedroom Royal Suite is a residence fit for a king, queen or head of state. 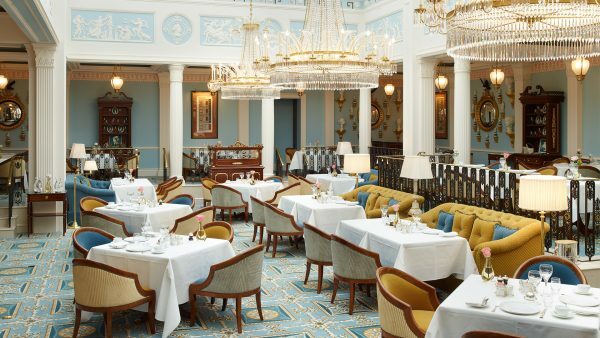 If you love food, you will enjoy the hotel’s Michelin-starred Céleste restaurant (see photo below) with its richly decorated dining room in light blue and yellow hues, naturally illuminated during the day by a domed glass roof. 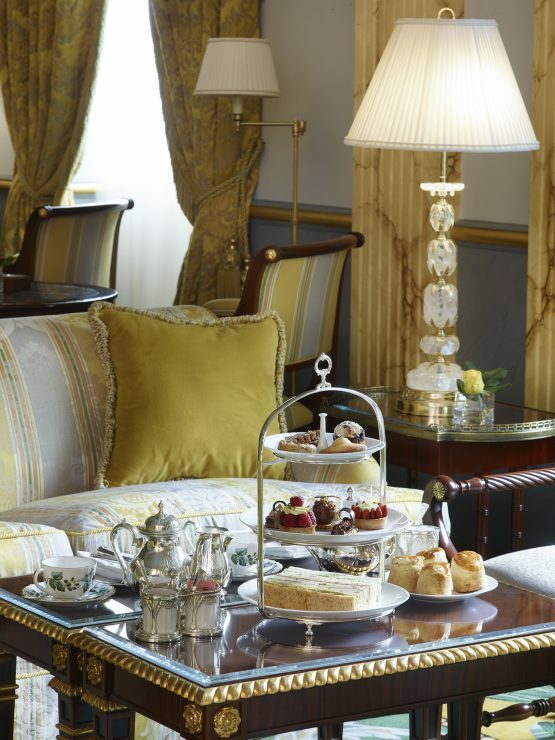 One of my favorites in London is tea time which is served at the hotel’s «Withdrawing Room». 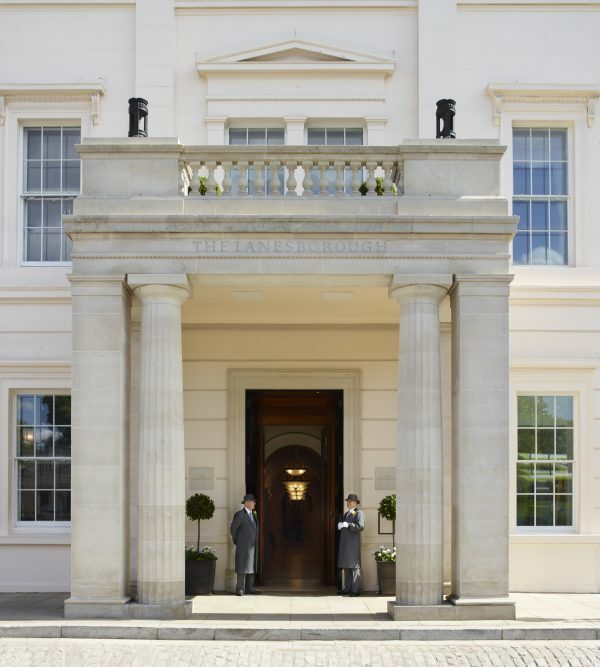 I am a big fan and hope that you will enjoy your stay at THE LANESBOROUGH as much as I do! 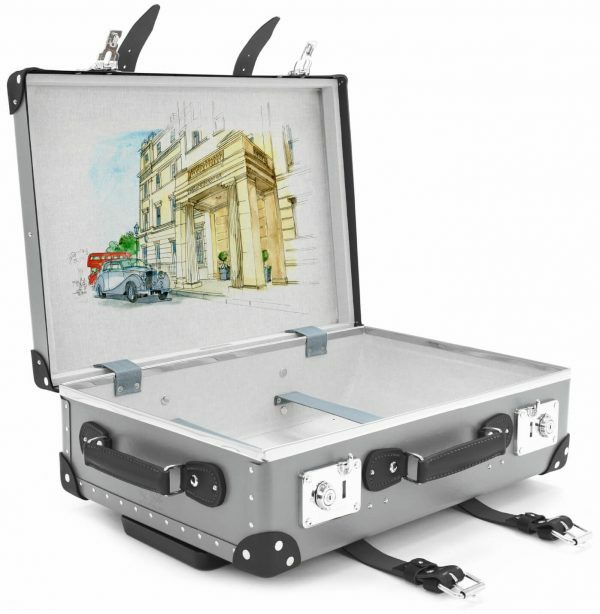 And if you become a fan, I recommend getting this beautiful Globe Trotter The Lanesborough Suitcase, that is only available at Eden Being.